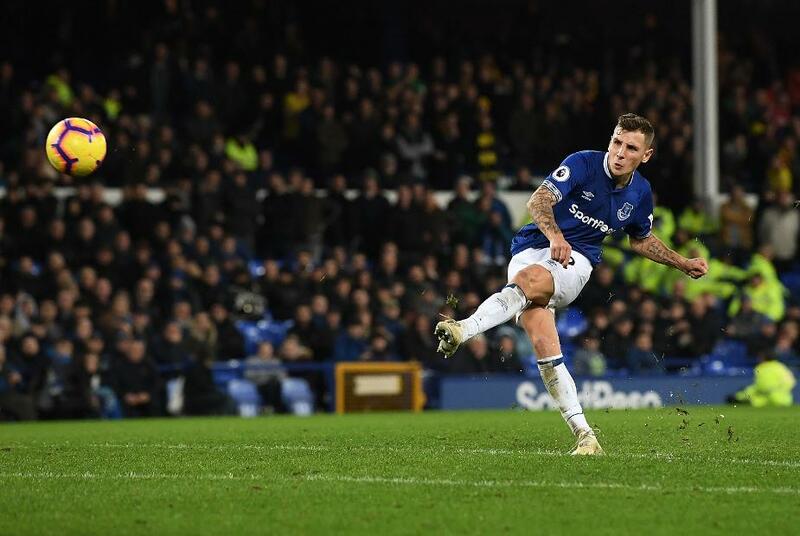 Lucas Digne’s stoppage-time free-kick earned Everton a dramatic 2-2 draw against Watford at Goodison Park. In an eventful match Richarlison gave the hosts the lead on 15 minutes when he met Andre Gomes’s cutback with a first-time shot against his former club. The Hornets levelled in the 63rd minute after Roberto Pereyra’s stinging shot hit the post but rebounded back into the net off Seamus Coleman. Two minutes and 10 seconds later Watford were ahead, Abdoulaye Doucoure heading in Pereyra’s cross. Everton might have equalised when a penalty was awarded for a foul on Yerry Mina by Christian Kabasele, but Ben Foster saved Gylfi Sigurdsson’s penalty. However, Digne salvaged a point with a stunning 20-yard effort at the death. Everton lie seventh with 24 points, five places above Watford on 21.